I hope everyone is enjoying this special day of remembrance. This has been an eventful week, so that means a lot of pictures for you! 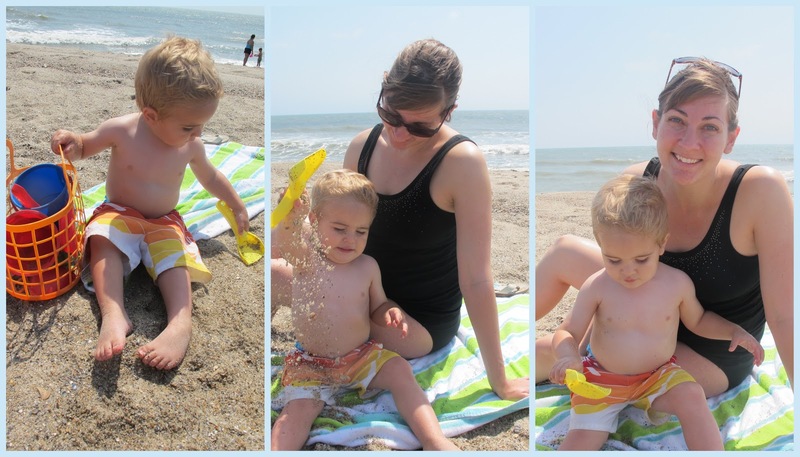 We took a random, middle-of-the-week, day trip to the beach. It was warm, breezy, and sunny. 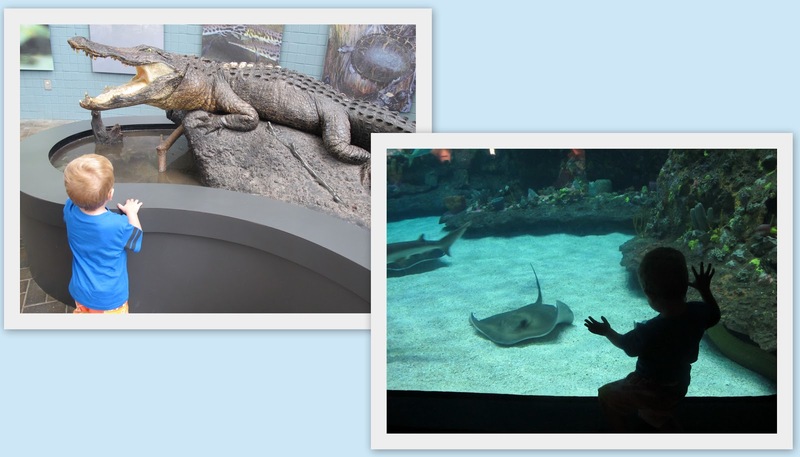 We also made a quick stop at the Aquarium for a little fishy learning experience. 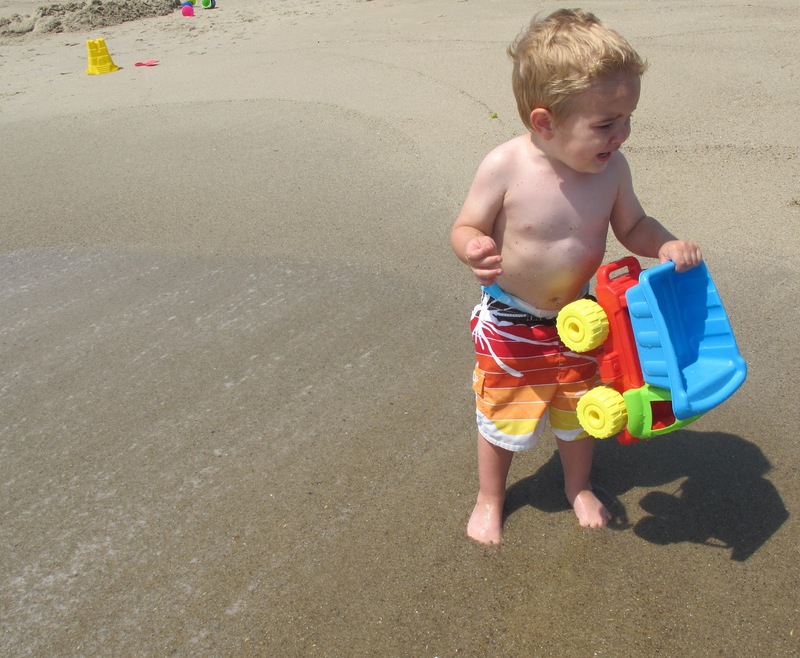 I can't believe I am posting pictures of myself, in a bathing suit, considering how large and in charge I feel these days (I am 24 weeks along!). I actually wasn't even wearing a real bathing suit since none of mine even fit at the moment! 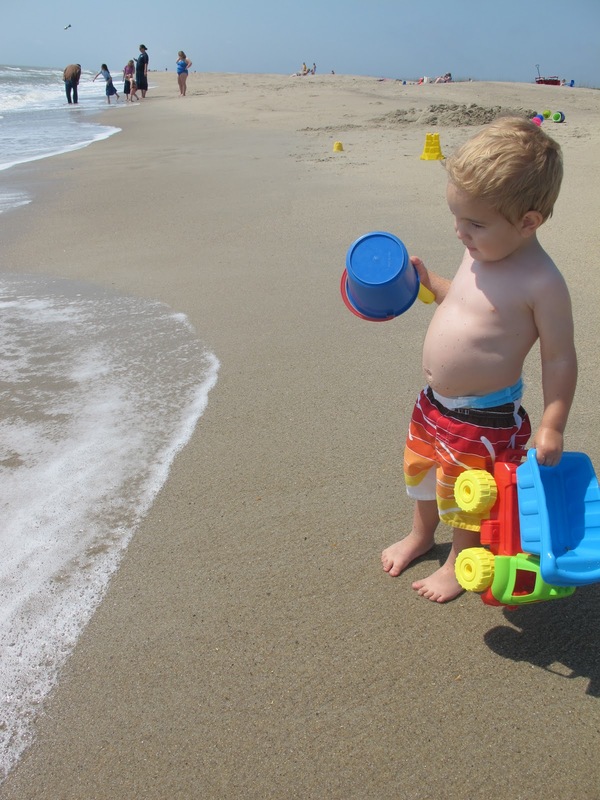 Ande waited timidly for the water to come up to his toes. 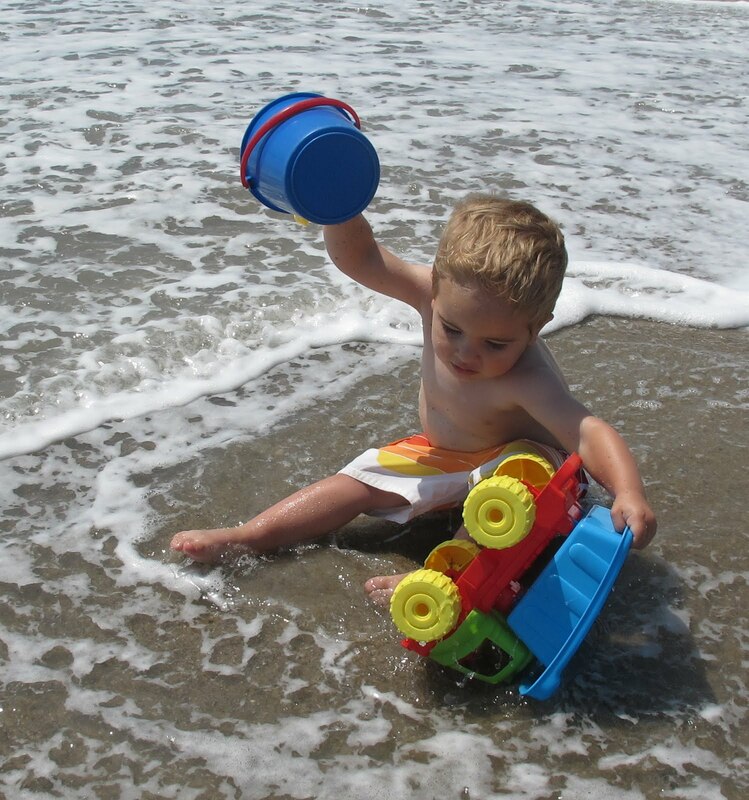 And when the water finally reached him, the shock of the cold send him flying off his feet! "I don't like the cold Momma!" said the boy with the shelly belly. Our neighbors/friends from church stopped by one afternoon and I just had to snap some photo's of their awesome "Gator." 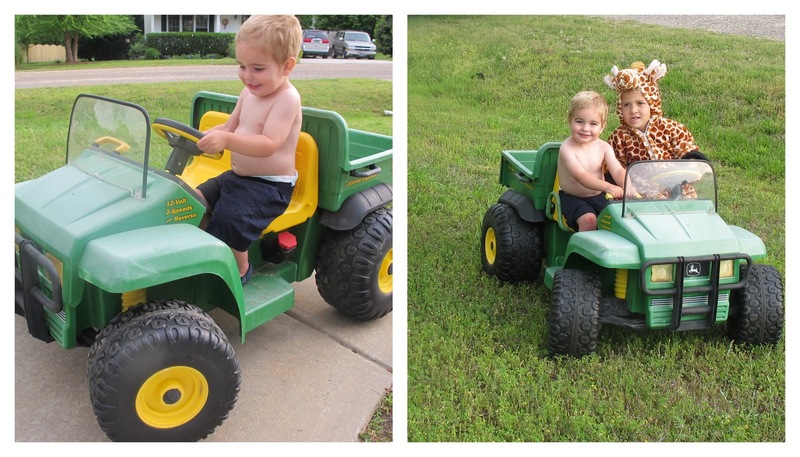 I mostly wanted to capture this moment because Ande looked like such a hill billy without a shirt on! Our Saturday morning ritual - German Pancakes! 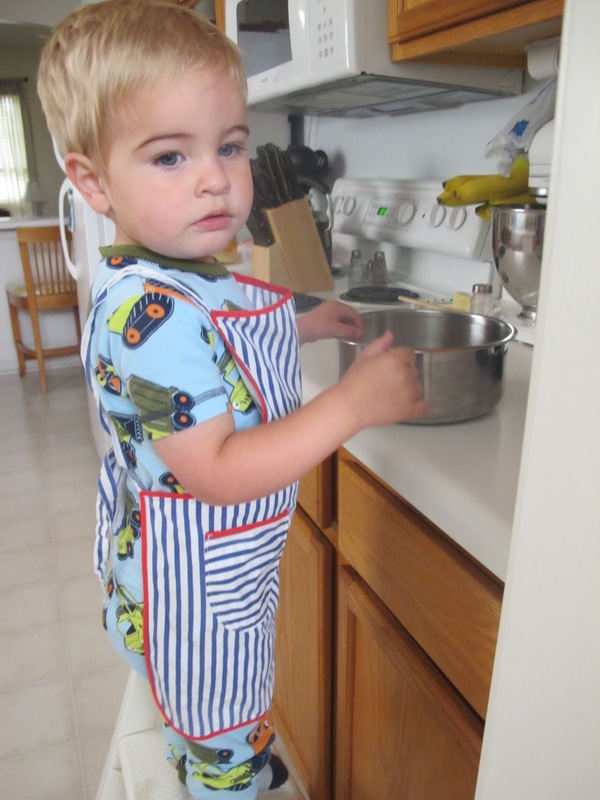 We found Curtis' old apron and it fits Ande perfectly! What a good little helper. After breakfast we had a little Easter fun around town. 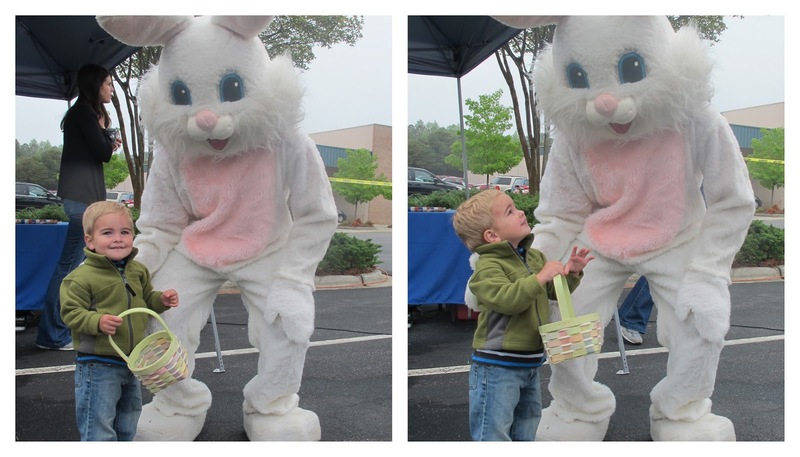 Ande met the Easter Bunny and wasn't afraid, which is great considering his reaction to Santa Clause this past Christmas. 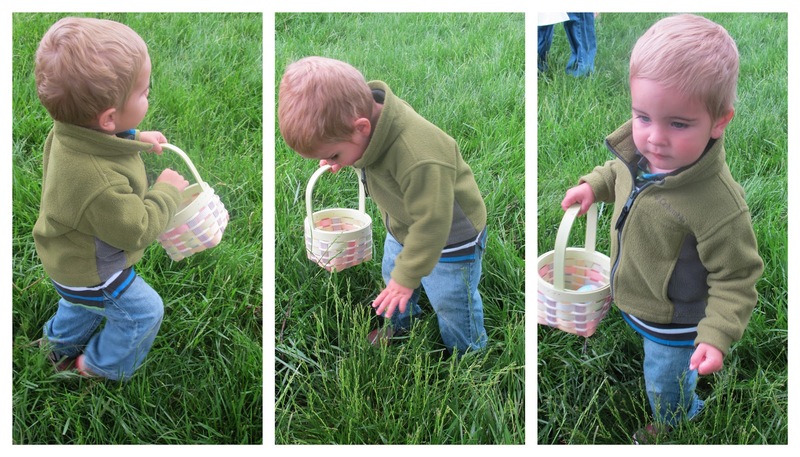 He got to participate in an Easter egg hunt. 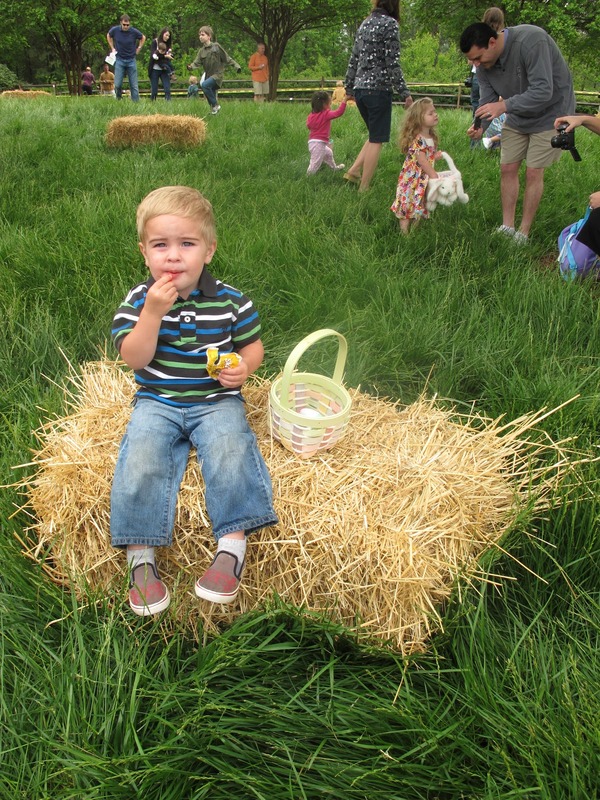 The grass was long, the kids were many, and so Ande only got 2 eggs. Luckily there was a toy airplane in one of his eggs, so he was satisfied. 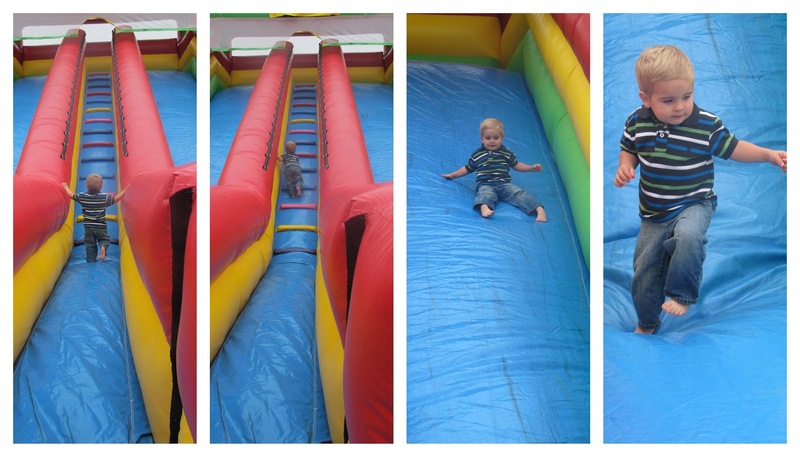 Most of all, he enjoyed the big blow up slide. I was pretty proud to find he could climb up those steep stairs by himself! 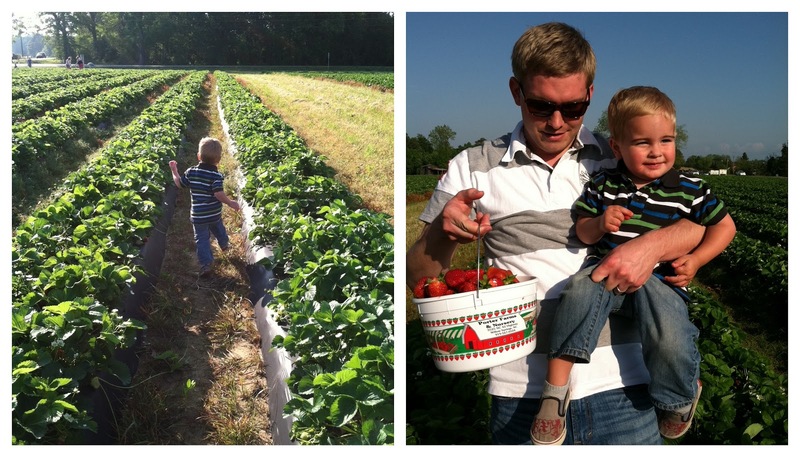 We topped off the weekend with a trip to the local strawberry patch. This was our first time going as a family. 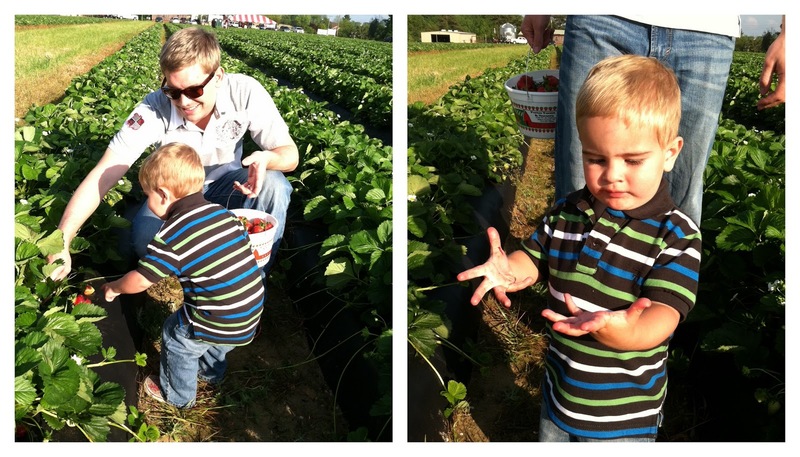 Every time I handed Ande a strawberry to put in the bucket, he would eat it instead. There's nothing like ending the day with pink fingers, pink cheeks, and a bucket full of strawberries! That kid is absolutely adorable!! And by the way Ande is hiding your pregnant Belly so don't worry about it! 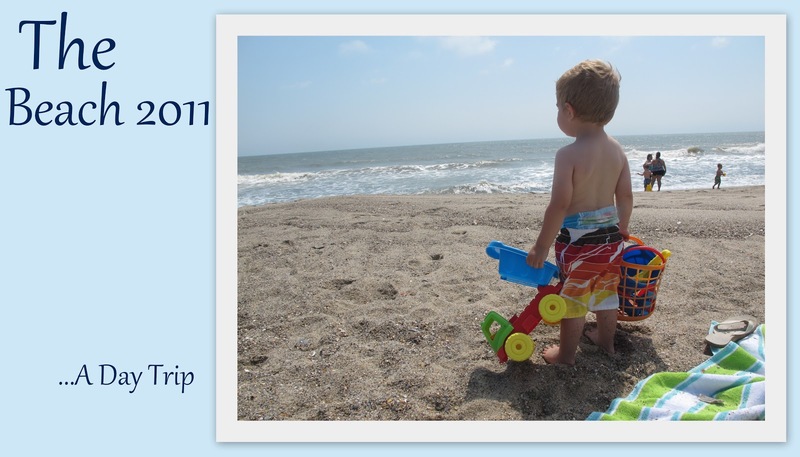 You are always doing so many fun things!